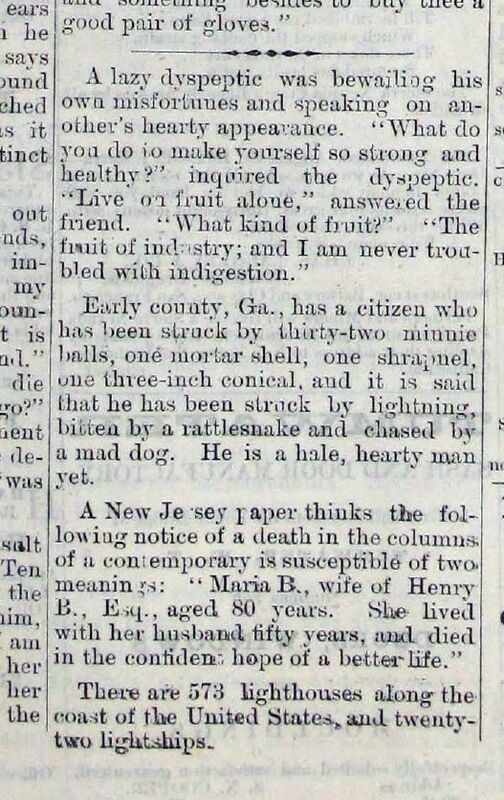 This excerpt is pulled by Ron Edge from the Oct. 17, 1872 number of the Pacific Tribune. This Olympia newspaper was published by Thomas Prosch, the historian-journalist who eventually, seeing the drift of things, moved his newspaper first to Tacoma and then to Seattle and, subsequently here owned and edited the Post-Intelligencer. Prosch also published a few typed copies of a chronological history of early Seattle, which was an important source for the early construction of the web-page Historylink. 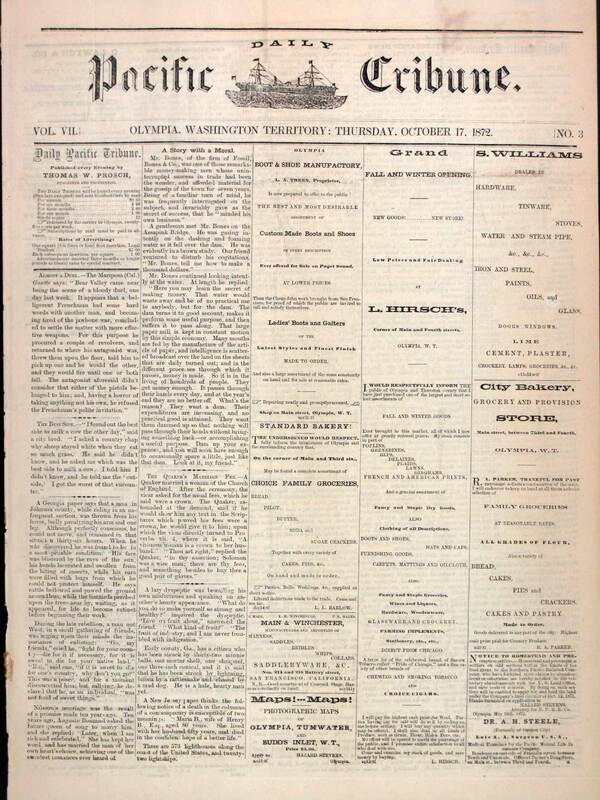 The full page of Prosch's Olympia paper, from which the "fillers" above were fetched, follows.